Lemonade stands are a staple of summertime Americana: stalls set up by the side of the road, often by little kids, to sell passersby... well, lemonade. 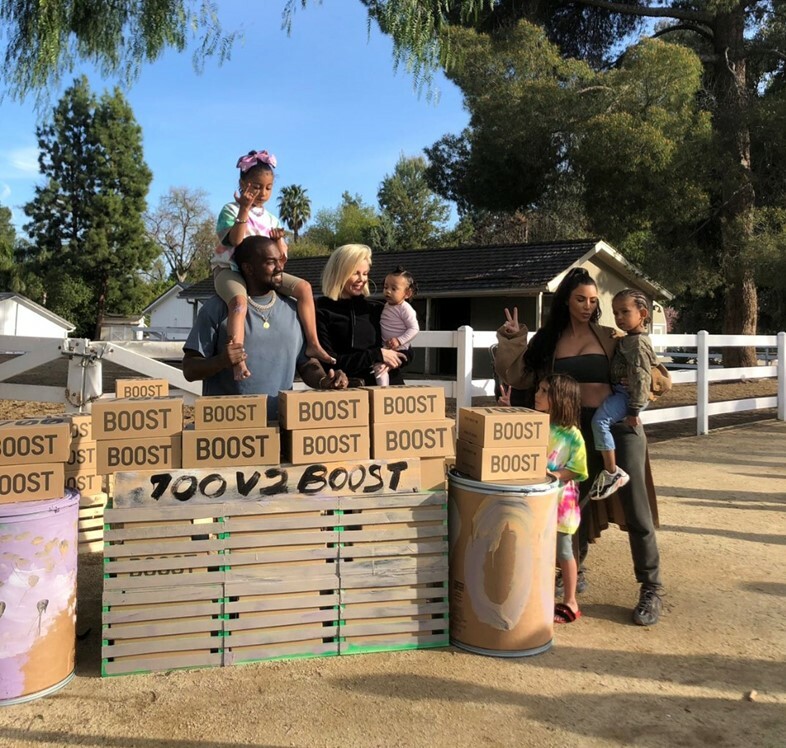 Kanye West and Kim Kardashian had a slightly different idea this week (March 23) though, setting up “lemonade” stands selling not cold beverages, but Yeezy Boosts instead. Specifically, Yeezy Boost 700 v2 Geodes, made in partnership with Adidas. Kim Kardashian explained the stalls on Twitter. “In the continued spirit of bringing people & families together, the brand has selected unexpected locations for the stands to connect w communities throughout the country,” she wrote in the post. In another tweet, Kim also shared the stands’ locations, which were notably quite rural: “Stand Locations: Indianapolis, IN; Missouri, TX; Waterloo, IA; Minneapolis, MN; Alton, IL; West Chester, OH; Belle Fourche, SD; Cedar Rapids, IA.” This tweet was followed up by some pretty cute pictures of other families manning their stalls. All in all it sounds like a pretty good idea: getting Yeezy Boosts out to people who might want them but don’t live in big cities where they're easy to get, all for a good cause. Let’s just hope Ye had his permits, though, and doesn’t end up like the five year old girl who got her stall shut down and a fine of £150 for selling lemonade in East London.